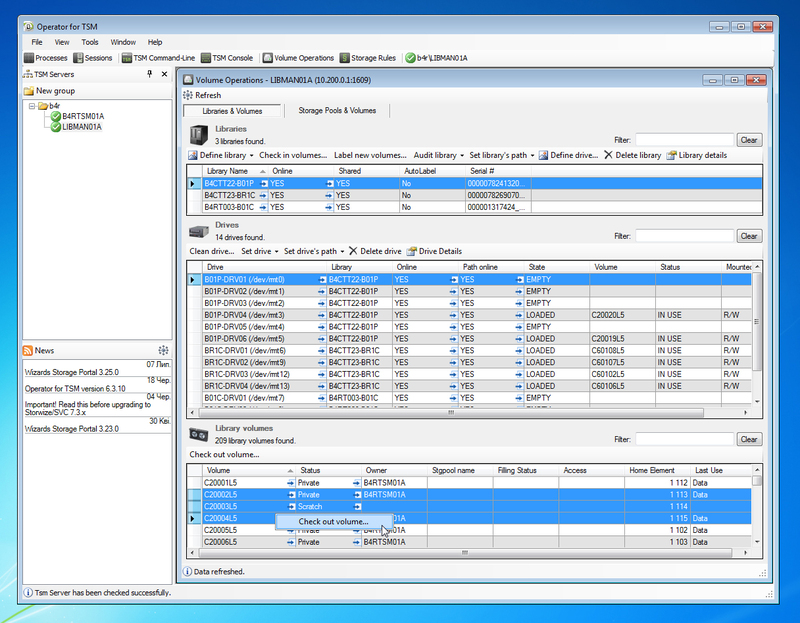 The new version 6.4 of Operator for TSM has been released. Version 6.4 will replace all previous versions of Operator for TSM. 1. Support for DBSNAPSHOT volumes is added in Check out/in routines and Vault Content report. 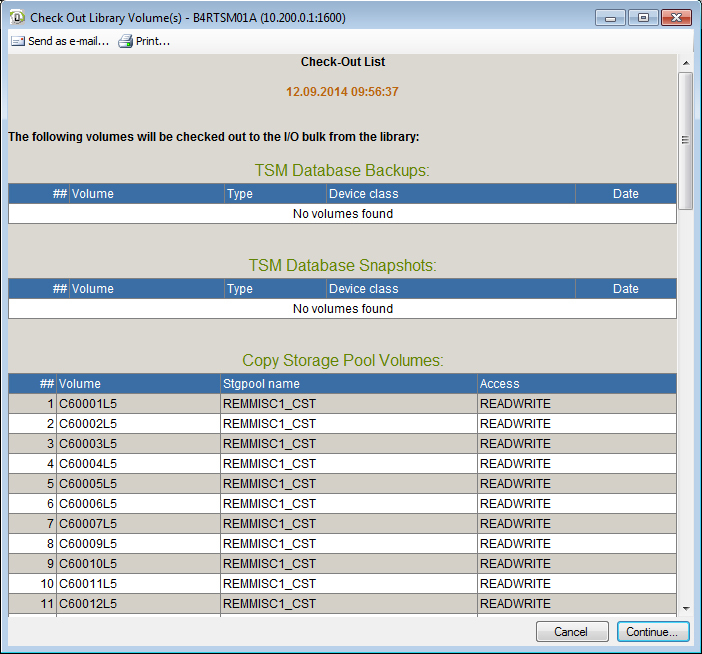 The feature is configurable in the TSM Servers\TSM DB section. 2. 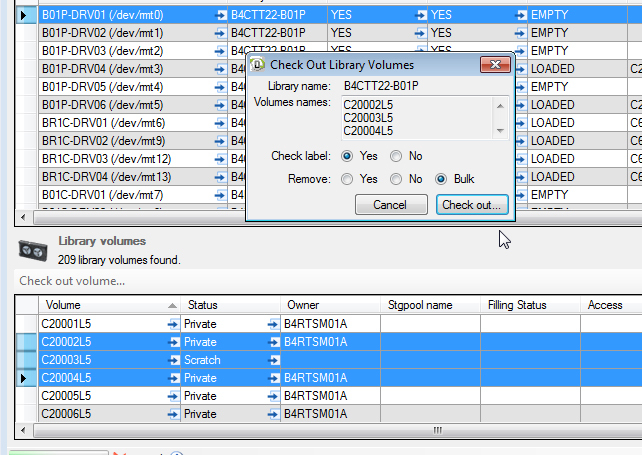 Support for Check out of multiple library volumes is added in Volume Operations window Library volumes grid. 1. Register Node dialog is extended with support for Deduplication parameter. 2. 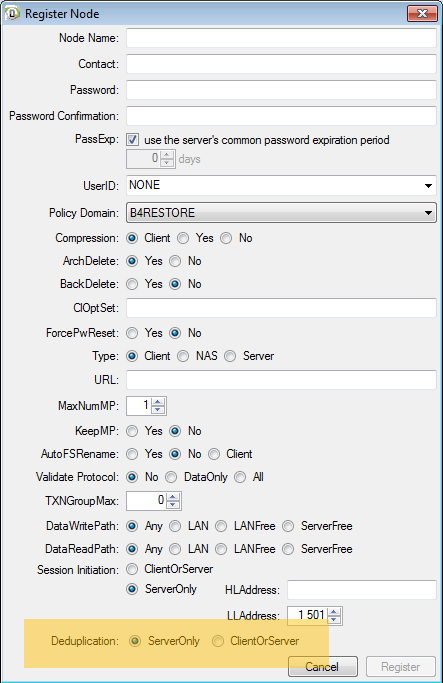 HL and LL Address parameters are applied only for ServerOnly SessionInitiation in Register Node dialog. 3. Vault Content report shows DBSNAPSHOT volumes if any. 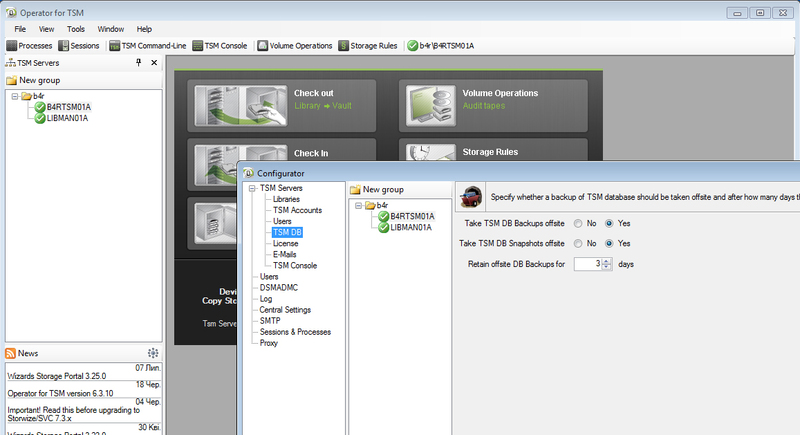 DBSNAPSHOT and DBBACKUPFULL volumes are shown regardless of the settings in Configurator.